You won't believe what Kim K paid for her blonde locks! Money isn’t really an object for the Kardashians, but would you pay this much for a dye job? The platinum blonde hairdo Kim debuted at Paris Fashion Week set her back more than R12 000. 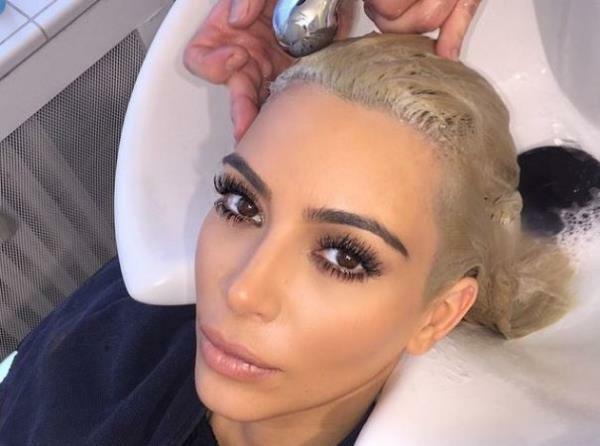 At the beginning of March Kim paid more than R6000 to have her hair coloured at home. But she was unhappy with the colour and when she landed in Paris she had her dyed again at a local salon, which also cost her more than R6000! She apparently longs for her darker lock and plans to go back to her original colour soon. "Dark is my natural color," she told the tabloid. "Being brunette is who I am."